As a professional organisation with more than 50 years’ experience, we have the approval of several important monitoring boards. Assess ourselves effectively against the Driving Up Quality Code. Enable the people we support to be more actively engaged in monitoring quality and giving feedback. 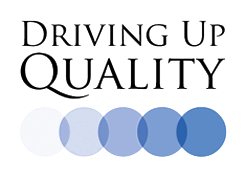 From April 2015, Quality Advisors (people that use our services) will be verifying our Driving Up Quality Code self-assessment. Ensure our Directors and Trustees have direct access to quality information and reports including how we are working on the five areas of the Code. Fully comply with the new CQC obligations, and the new REACH standards.Following our Driving Up Quality Self-Assesment, extensive consultation with the people that use our services, and working with partners from other social care providers, we have formed a new Improvement and Development Team. This is made up of the people we support, who bring their expertise by experience to the role of Quality Advisors, and senior Managers with operational backgrounds. FitzRoy is proud to hold the Disability Confident symbol. The symbol is awarded to employers who have made commitments to employ, keep and develop the abilities of disabled staff. If an employer uses this symbol, it means they are confident about employing disabled people and will be keen to know about your abilities. 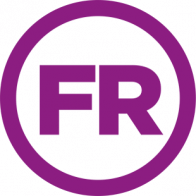 The Fundraising Regulator is the voluntary, independent regulator of charitable fundraising in the UK aims to ensure that fundraising remains respectful, open, honest and accountable to the public. They oversee a transparent and independent regulatory scheme for fundraising, aiming to raise standards and build public confidence in fundraising. As a member of this regulator, FitzRoy work tirelessly to comply with fundraising best practice, complaint handling and changes to the law. Please visit their website for more details about The Fundraising Regulator. 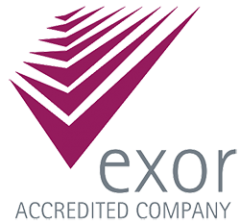 Exor empowers organisations to meet their compliance and procurement policies across a wide range of areas, including efficiency, economic development, regeneration and risk management. In December 2011, FitzRoy received an award from the board in the area of ‘supporting people’, demonstrating the high quality health and safety procedures among our services. John Williams, FitzRoy co-founder won the Outstanding Contribution Award at the National Learning Disabilities Awards. The awards, organised by Care Talk in association with the British Institute of Learning Disabilities, pay tribute to individuals and organisations who support people with learning disabilities, and celebrate excellence in this area. The Outstanding Contribution Award recognises an individual who has made a long-term outstanding contribution to the lives of people with learning disabilities. Over fifty years ago, John Williams, a founding trustee of FitzRoy, worked with the founder Elizabeth FitzRoy as a volunteer, managing the charity whilst holding down a top job at the NHS. He gave his time because he was passionate in the belief that people with learning disabilities should lead ordinary lives and have the support they need to fulfil their potential instead of being hidden in institutional settings.